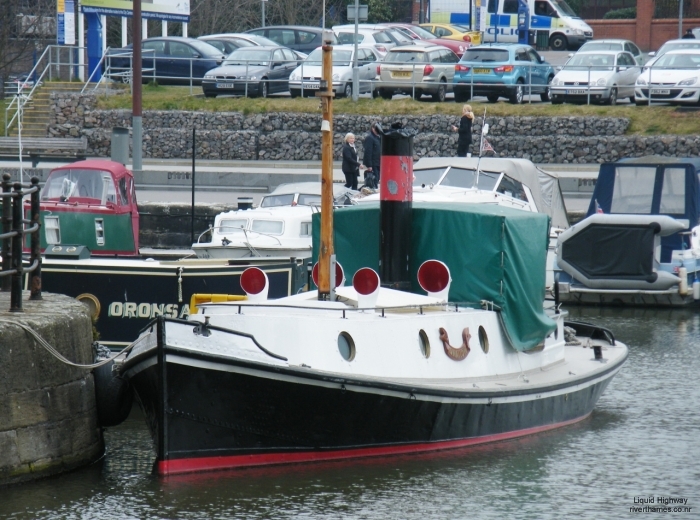 SWALLOW is a river or dock tug built in 1937 by James Pollock Sons & Co. Limited at Faversham. Her current engine is a Ford diesel 6D, 130 bhp. She worked on the River Lea, Regents Canal and the Thames until the late 1960s. Purchased at Sunbury in 1978 in derelict condition with the original engine removed, she was restored by Anthony Mayes of Wargrave and retained for occasional towing on the Thames. She was sold to Malcolm Bristow in 1987 of Tetbury. Her present owners bought SWALLOW in 2012.